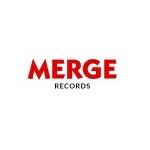 Toolshed was engaged by Merge Records to be their digital music service licensing representative, and to provide digital marketing services for all Merge Records releases. In 2008, Toolshed ceased providing marketing services, but retained digital music service licensing responsibilities. Toolshed has responsibility, in conjunction with Merge Records staff, to advise on digital strategy, and to represent the Merge Records catalogue on behalf of the label, and to complete digital music deals with digital music services.